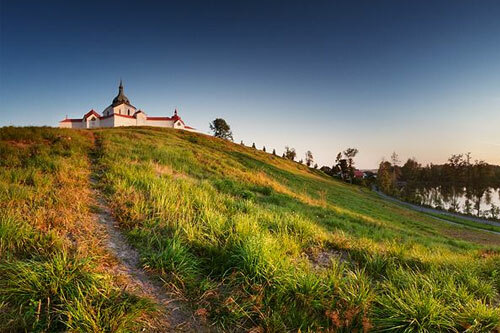 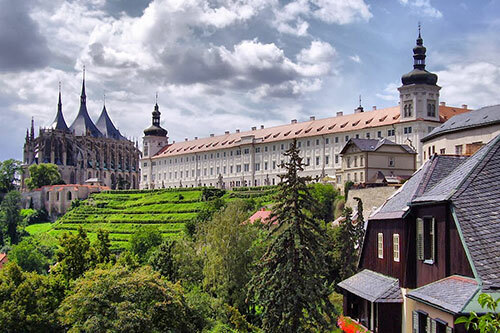 Zelená Hora (Green Mountain) is located on the border between the Bohemian and Moravian regions and features an unusual pilgrimage site of outstanding Baroque devotion. 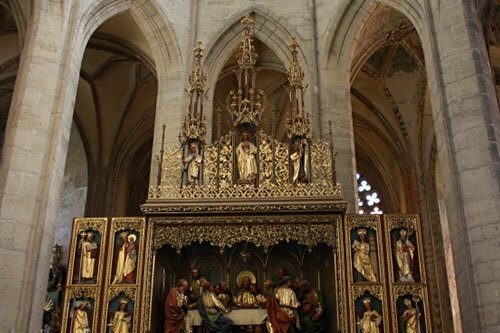 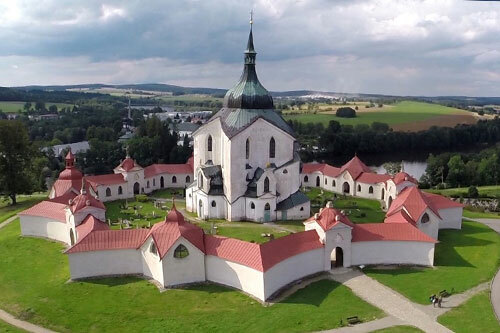 It’s a chapel dedicated to one of the most significant Czech saints – St. John of Nepomuk. 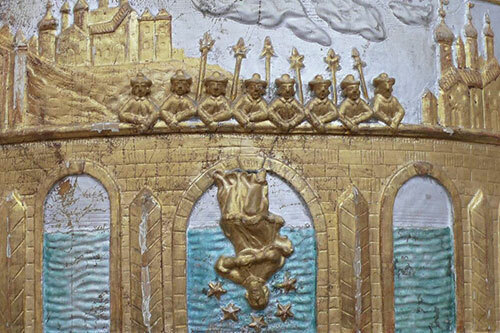 His statue on the Charles Bridge in Prague is the one that each visitor touches in hopes of fulfilling their wishes. 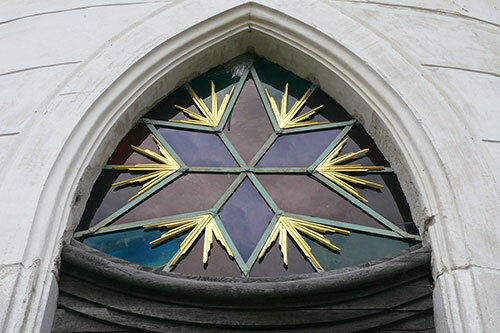 One of the key elements in the canonization process of St. John was the miracle in which five stars appeared over the martyr’s head. 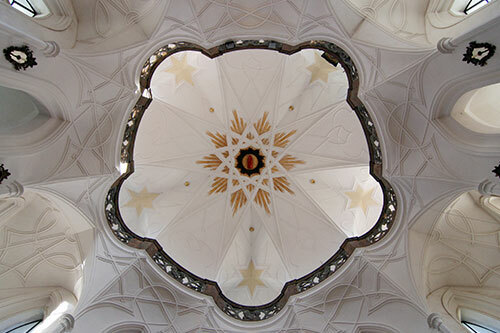 This is why the architect, Jan Santini Aichel, chose the unusual layout of a star for this site. 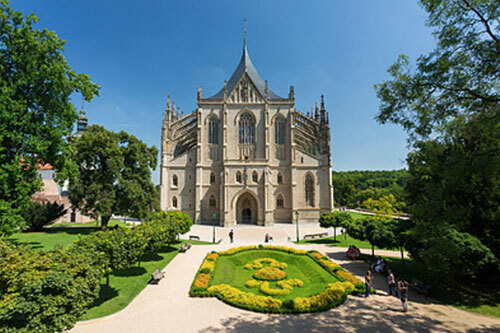 A genius architect, he never fails to surprise with his sacral architecture that inventively and successfully combines the principles of Baroque and Gothic styles. 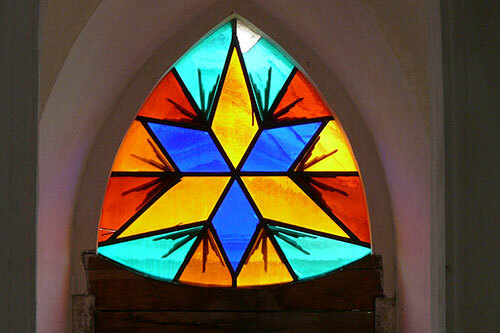 The star theme and the symbolism of the number are ubiquitous in this unique pilgrimage site. 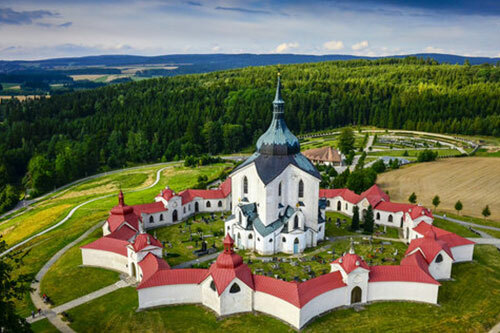 Aside from its beautiful setting in the local rolling landscape, this truly unusual church was the result of an exceptional encounter of two minds - Václav Vejmluva, the builder (then the Abbot of the Cistercian Monastery in Žďár) and Santini, the architect. 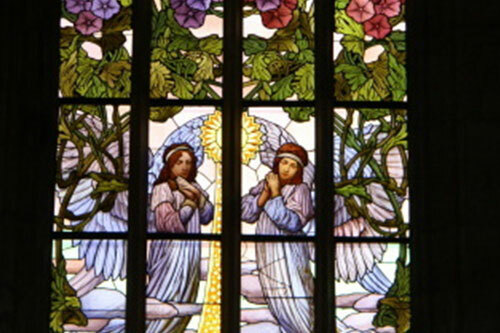 For many years they collaborated on symbolism and Kabbalah teachings. 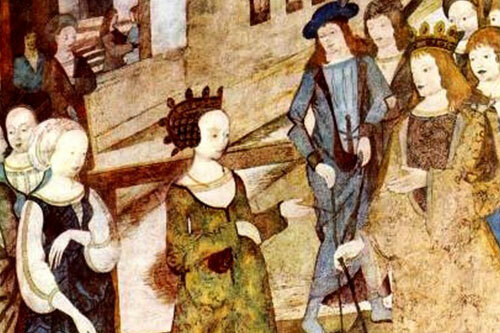 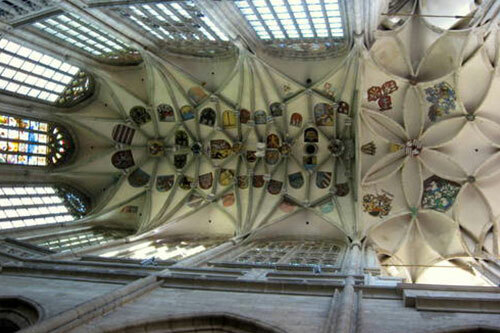 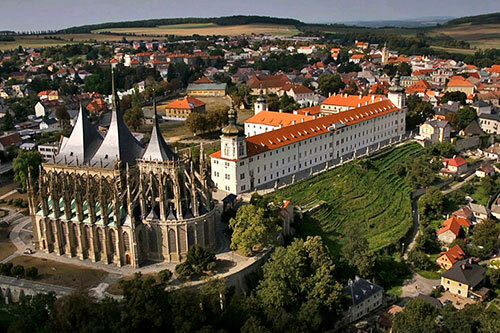 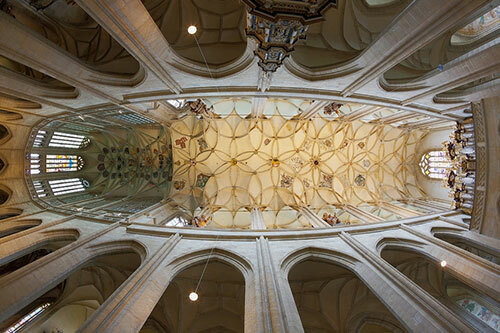 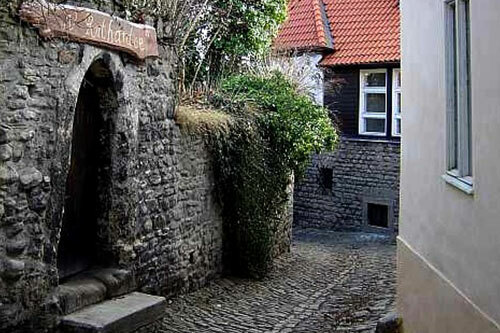 Then we proceed to Kutná Hora, a city that was the largest and most powerful in the Czech Kingdom in the 13th century. 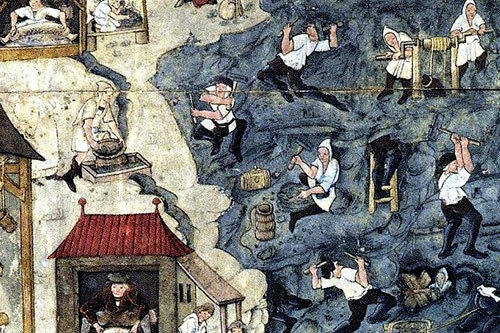 This was a time when one of the richest silver mines in Europe operated here. 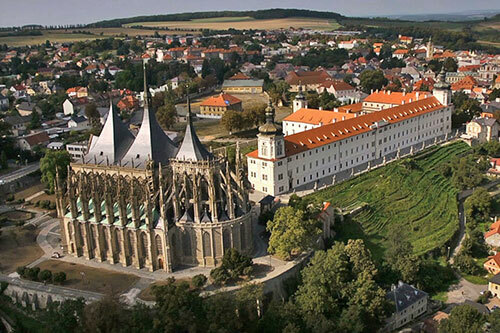 This exceptional development of the city also enabled the construction of the cathedral of St. Barbara, the patron saint of miners. 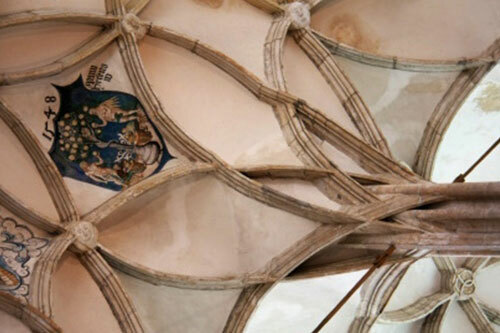 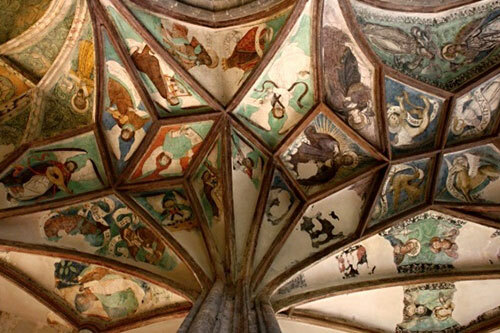 Personally, the beauty of this daringly curved star vault never ceases to amaze me. 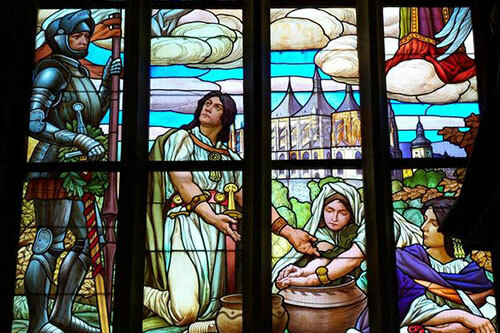 Neither does the beauty of the surprisingly Art-Nouveau stained glass and medieval frescoes. 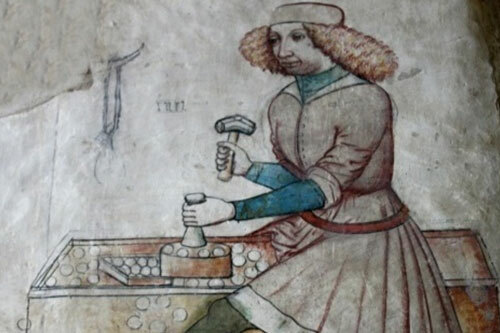 Their authors sought inspiration not only in Biblical themes, but also in the everyday life of the miners, something absolutely unusual at the time. 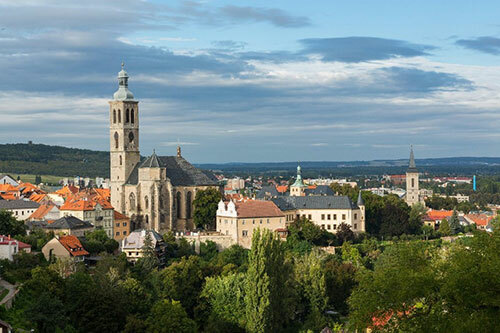 After our visit to the cathedral, we will explore this originally medieval city with its former Jesuit College that is now an important art gallery named GASK, as well as the St. Jacob church and the famous Italian Court.